It happened somewhat unexpectedly. It was there… inside me, but dormant. Till about a year ago. Life changed, and I discovered this newfound joy… writing. I speak publicly, and have regularly for more than two decades. So it’s not that words are new to me. If you’ve followed the blog, you know that I enjoy the stage and the microphone. And that won’t go away anytime soon. But what I didn’t see coming was how much I would enjoy sitting at the desk, pecking out keys to capture life… and truth… and encouragement… and hope… in words on paper… or screen. Unlike preaching, when I write, no one is usually around. Well, the dog doesn’t count. Sure it’s still communicating. Of course it’s still using words to convey thought. 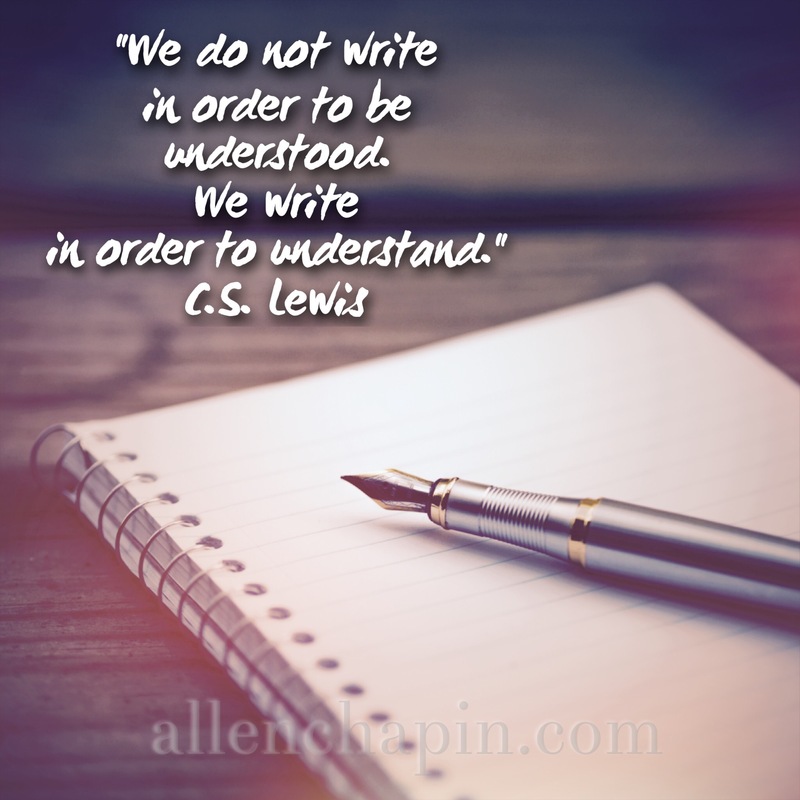 But it’s a whole new world to me… all this blogging and publishing stuff that writers do. And yet it has somehow awakened something in me I did not know I had. Something planted there by God before He ever formed me in my mother’s womb. Let me ask you… Is it possible that you have something in you yet to be discovered? Is there something wonderful currently dormant in you? What if you began to excavate around that area of your life and uncovered something truly special which you and others around you could enjoy? Maybe it’s completely different than what you used to do… or do now… or think you’ll always do. Spread your wings a little… the air is great up here!